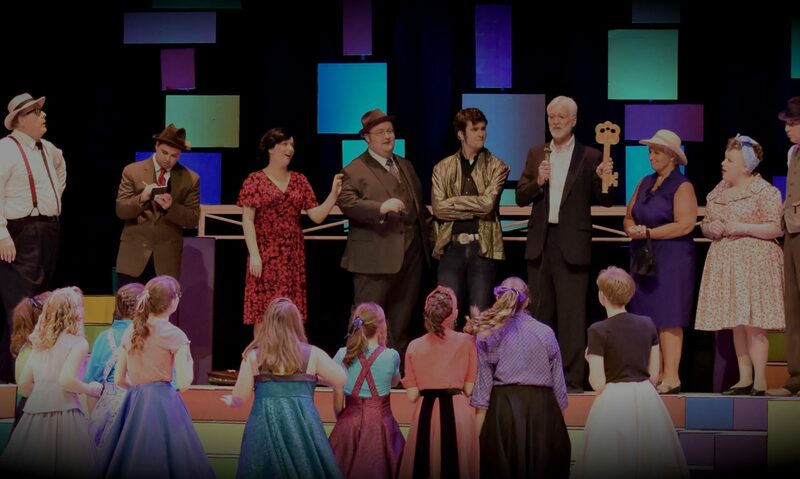 The MacAfee family is ready to share a little comedic flair to the Bye Bye Birdie production…. opening this Thursday, July 13th with a 7:00 PM performance. Here is a little background info about the fabulously funny MacAfee’s and their Kids! This actor once had a name but he left it behind for a box of red wine and some Canadian jerky. Coming from the manhole on the north side of the street across from that foot odor repellant factory, (you know the place), he stayed the night with a lisping lizard and inherited a rare fortune of beetle shell husks. That started his segue into theatre and he has since performed in 1 1/2 shows, completely revolutionizing the art of nose puppets. He would like to acknowledge his pet teddy bear for all of the snuggles lately. He hopes you enjoy the show. Although this is Miranda’s first Heritage Players show, she is no stranger to the stage. Last summer she was in “Drinking Habits” at the Voyager Village Community Theatre near her home. Before that, she was enrolled at Full Sail University in Winter Park, Florida. From which she graduated in 2015 with a major in Film. She’s been an avid theatre lover and participant since grade school and was thrilled to have the opportunity to join this cast. Emily is from Pine City and is about to enter her junior year at PCHS. This is her second on stage role with the Heritage Players. She also played trumpet in the pit for their winter show, “Nunsense: The Mega-Musical.” Some of Emily’s past roles include: Zaneeta Shinn in “The Music Man” with the PCHP; and Rusty in “Footloose” at PCHS. Emily would like to thank the cast and crew of this show for their love and support, Rachel for this amazing opportunity and teaching her how to breathe, and her wonderful family for their never-ending love and encouragement. Now Emily knows how lovely it is to be a woman, and she hopes you enjoy the show! Owen plays the role of Randolph MacAfee and is excited to be part of a show in his home town. Owen has been on stage with many local troupes, including his favorite roles of Jack in “Jack in the Beanstalk,” Clyde Herdman in “The Best Christmas Pageant Ever,” and Robin Starveling in “A Midsummer Night’s Dream.” When Owen isn’t on stage, he’s playing board games and role-play games with his friends, drawing, or working on his stop-motion animation projects. Next PostNext Meet the Cast: Almaelou Music Co.